Writing is how I figure everything out. I write about personal events, those stories close to my heart, because it's a way I have of processing life. It's the way I remember the good times, it's the way I get through the hard times. Much of the time I'm preaching to myself, but consider it a blessing when others glean something from where I've been. I haven't written in a long time - weeks, in fact. My husband keeps telling me I would feel better if I would write about what's been going on. My kids even tell me that they know that writing would help me. I know that I've been putting off writing because committing it to paper ( or computer) makes it real, and I'd rather all of this not be real. I think it's time, though. Over the last month, we have found out that our oldest daughter has a rare heart condition known as Long QT syndrome. It is uncurable, but completely treatable, which is the great news. The terrifying news is that Long QT, or LQTS, can cause fatal arrythmia, leading to cardiac arrest. Going back again to the good news- it is treatable. Kiley has started beta blockers, which will hopefully prevent any symptoms. We'll find out at the end of the week if two of our other children, Laurel and Liam, also have this condition. I keep having this feeling that I have woken up in an alternate universe where everything is scary. I went to bed one night, my biggest worry was whether I was pushing Kiley hard enough in homeschool, how to get Spencer to wash his hands, how to help my defiant 13 year old not be so defiant, and making sure that Liam knew his colors. The next day, my sweet girl's 15th birthday, we were told that she may have a condition that could lead to cardiac arrest, then sent home and told to avoid caffeine, exercise, and a few thousand medications that could make the condition worse. My three year old had to wear a heart monitor for 24 hours - he gets to take it off in a few hours, in fact. He has done phenomenally well with it. I think he likes it. He says he's a super hero with all the leads stuck to him, and the monitor clipped on his belt. Laurel goes for a stress test on Friday. There's been echocardiagrams, ekg parties, and more trips to the cardiologist than I would have though possible. We'll be doing genetic testing this week to find out what type of LQTS this is. We have to get a defibrillator, an AED, to keep at home, and travel with us. This is all happening. For real. I know that it could all be so much worse. This is a condition that they can live healthy, active lives with. This is a condition that, when detected, can be controlled. Beta blockers work for many people, and in some cases an ICD, an implanted defibrillator, is the best option. We are blessed that the kids are asymptomatic. Many people find out they or their children have LQTS when they have a cardiac arrest. We are the fortunate ones because we found out before tragedy struck. So, why don't I feel grateful? Why don't I feel relieved? I guess I'm getting there, to the place where I am thankful to know, thankful for treatment options. Really, though, I keep waiting for the doctor to call and say that there's been a terrible mistake. I'm thankful for friends who have gotten us through with words of encouragement, with reminders that God is with us, but it also feels very lonely in this place we're at. That's no one's fault, I think it's just part of the process. It's learning to deal with the new normal, as cliche as that is. I have to say that this process has taught me compassion in a new way. I feel so much compassion for people who have anxiety, or who are waiting on a diagnosis, who have lost or are losing someone, or who just are feeling uncertain about life. Really, I have renewed compassion for God's people. We're all so broken, in one way or another, and we're all trying to figure out how to get through this life. We all have heavy things we're facing, and we all feel overwhelmed from time to time. This is a new world that I have woken up to, but my fear is dissipating. My weepiness is drying up, a little anyway. My backbone is a little straighter, my shoulders less slouched. I still feel heavy, weighed down not just by our stuff, but by the stuff of the world. During those times when it all threatens to overwhelm me, I remind myself that God, who created the universe, loves my children even more than Lee and I do. In his compassion and love for them, he chose us as their parents knowing that we could handle this. That gives me courage to keep moving forward, hour by hour, day by day, into this new world. So be strong and courageous! Do not be afraid and do not panic before them. For the L ord your God will personally go ahead of you. He will neither fail you nor abandon you." 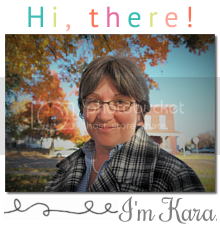 Kara--thank you for "coming clean". Your willingness to let others see your situation is healthy for you and healthy for them. I am so thankful God has gifted you with so many good gifts....your precious family, your faith, your writing, your _________ fill in the blank. There is a song by Watermark called "Welcome to Delaware" (it's an oldie). I suspect it is based on a poem with a similar idea "Welcome to Holland" or vice versa. LQTS may be a journey very few families take but you have a mighty God and the prayers, love, and encouragement of your fellow believers! Blessings as you travel! Welcome back to your page! We are so concerned and we need you to know that your support on an emotional level is totally handled - we got this! Now it's up to you to let us know how we can support you physically (why is that so hard for we women? lol) I know the fear in re: heart issues, but with a child? I haven't got a clue, but as a mother and grandmother, I can weep just thinking abt it. How awesome that you are a Christian- bec you will continue to trust in God, which then guides you to the trust you will keep in your doctor. You need to prepare to hear lots of stories, bec people seem to like to share and compare. Stay faithful while never hesitating to ask questions, just like you do in all other aspects of life. Matters of the heart aren't easy, whether it's a 15 yr old or a 52 yr old; mainly bec we aren't the ones in control and frankly we can't stand it! So we will be here, stalking your blogs, waiting for that miniscule moment that we can see our moment to jump in and help. Otherwise, feel the strength, the faith, the support, and def the love that we are bombarding your wees ones and of course, you and Lee, with each day. Put on your hiking boots momma, this isn't going to be a quick stroll; but like every day you are use to, you will learn, teach, and be blessed...and you will get soooo good at listening, that even your parents will be amazed! lol Keep writing- it's what you do! Prayers and hugs momma!! Kara, you know what me and Billy went through with mom and dads heart conditions. My heart goes out to you and and you will be on our prayer list at home and church. If you ever need something just let me know. Remember that God says to give your worries and troubles to him so that he can carry them. Let him carry them so that you can be the rock your children need. We love you and are with you always. Sharing stories comes as naturally to me as breathing.I write here so I can do that. Grab a cup of something and stay a while. Kara Shepherd. Powered by Blogger.